A long list of tips and insider tricks from an obsessive home canner. This is my "what I wish I'd known before I started canning" list. A few summers ago, I decided to can. What started as a few jars somehow turned into a root cellar's worth. Call it the Summer of Obsessive Canning. I stopped counting after the 145th jar and the 25th batch. All lined up on the counter, the glistening jars were immensely satisfying. I learned to love the POP sound as the seals set. It helped me grieve the loss of my mom, just weeks gone. That summer started with plum chutney and ended with pickled beans. In between came a red relish, dixie relish, piccallili, blueberry lime jam, banana butter, pickled mushrooms, pickled peaches, pickled beets, pickled peppers I call Pied Pipers, watermelon pickles, my grandmother's dills. That year, there were too many tears to make Ripe-Tomato Relish with Peaches & Pears (Sharon's Pickle), my mom and I had always made it together. I don't can every year now, just some years. But when I do, I always review the tips below which were first written for our family cookbook, my "I sure wish I'd known this before starting" list. They're practical tips, mostly what to do before and after you start canning, what I think of as "what I learned between jar #1 and jar #145". Do you have your own home canning tips? 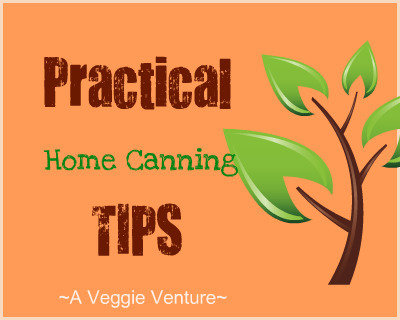 Please do comment below, so many other canners have shared their own great tips, helping this page become a real resource page for new and returning home canners. If you're looking for tried-and-true recipes, here are my canning recipes. A cheap streak that makes the exorbitant prices at specialty food shops totally unacceptable! Try homecanning.com for good basic instructions. Check the library or bookstore for basic instructions and recipes. I got a great one for $10 at Target, the Ball Blue Book, Guide to Home Canning, Freezing and Dehydration, this one is similar. Take good notes. Most of us don't can that often so good notes really help from year to year, especially the personal ones. My 2006 notes include: "I don't like jams and jellies so sugar-packed that the only taste is sweet vs taste of peaches, etc. so I'm on the look-out for a source of no- or minimal-sugar added recipes." Glass measuring cups (1cup, 2cup, 4cup) are useful. A food processor for chopping in large quantities. A wide-mouthed funnel for filling jars without getting gunk on the lips. A "jar lifter" to remove jars from the hot water bath. A "lid wand" with a magnet on one end to lift sterilized lids and bands from boiling water. Canning jars are made from specially-tempered glass. Canning jars are readily available by the case though not cheap. Supermarkets, even hardware stores often carry canning jars, especially during July, August and September, prime canning months in the northern hemisphere. Wal*Mart has the best prices in St Louis but tends to run out of favorite sizes. In the U.S. anyway, cases include twelve glass jars, twelve metal lids with rubber seals along the edge and twelve metal bands for sealing the rubberized lids onto the jars. Rubberized metal lids may be an American-style product. European lids seem to be made from glass. They include a metal apparatus that, with a separate rubber ring, preserves the food inside. Save the cardboard cases that the jars came in! They're great for storing and transporting filled jars. Check with friends – mine had bunches of canning jars stockpiled that they were happy to get rid of. Don't use leftover spaghetti jars, etc. for canning that requires hot-water processing. Repeat: do NOT use leftover glass jars that aren't specifically canning jars. These odd glass jars do work fine, however, for refrigerator pickles like these which aren't really "canned" but can be stored in the fridge for a week or more. In the U.S., canning jars come in quart, pint and half-pint sizes. Quarts are typically used for "big quantity" things like tomatoes, beans, peaches, tomato sauce, etc. Smaller jars are better for foods used in smaller bits, jams and jellies, for example. For gift-giving, the pint and half-pint jars are perfect. If you're canning "food for the table" or for a large family, you may prefer pints and quarts. In the U.S., canning jars come with wide mouths and standard mouths. Wide mouths are slightly more expensive but I have come to prefer them. That said, I have lots of standard-mouth jars and use them quite happily. Have supper already made or be prepared to go out, especially if you're planning an all-day canning marathon! Do consider a marathon: getting set up is half the work. Get comfortable: shorts and t-shirts and comfortable shoes. Turn down the air conditioning, it's going to get hot! Clear the kitchen counters of anything extraneous. Clean the sink! Empty the dishwasher. The day before, you may even want to clean the dishwasher with vinegar. I use this technique from One Good Thing by Jillee. I like to estimate how much water will be required to fill the hot water bath ahead of time, this is how I do it. So I'll put however many jars I'll be processing into the empty hot water bath, then add the usual "water to cover plus an inch". Then I remove the jars and mark how deep the water needs to be on the side of the how water bath with a Sharpie. One year, I got really organized and marked the different levels for quart jars, pint jars, etc. Why go to all this trouble? It's just too easy to end up with "too much" water (it takes longer to boil!) or worse, "not enough" water (which means the jars can't be processed safely). Fill the bottom with already-clean jars and nothing else. Run the dishwasher with soap to clean the jars again. If you time it right, the jars will still be hot when it's time to fill them. If not, you can run the rinse cycle again to reheat them. Remember, the point will be, once it's time to actually fill and "can" the jars, is to place hot food (usually although some are cold packed) in hot jars which will then be immersed in hot water: temperature equilibrium prevents breakage. Hot jars, hot food, hot lids, that's the usual mantra. Put a quart pan filled with water on the back burner. Use this to sterilize lids and bands. BASIC SUPPLIES It's easy to go through a bunch of vinegar, sugar, salt, etc during a canning marathon. Check your basic pantry items before starting, you don't want to run out of something critical right in the middle of everything! PECTIN Liquid pectin and powdered pectin are not interchangeable. One cannot be substituted for the other. Pectin is apparently not shelf stable. Use what you have the year it's purchased. SPICE BAGS When spice bags are specified, put the spices in a coffee filter, fold it over and staple. FOOD PROCESSOR vs KNIVES Use the food processor to chop food that will cook down anyway but use a knife where distinct pieces are desirable. TOMATOES To easily peel ripe tomatoes, cut an X in the skin of the blossom end (it's opposite the stem end). Drop as many as will fit into a large kettle of boiling water. Leave 1 minute, then lift out of the water with a slotted spoon and transfer to a sink (or a large bowl, depending on how many you're doing) filled with ice and water. Return the water to a boil before doing the next batch. Repeat as necessary. Once the tomatoes have been "blanched" (that's what this process is called), the actual peeling can be done when it's convenient. PEACHES To easily peel ripe peaches, follow the tomato instructions except don't cut the X. To peel, cut through the flesh to the pit horizontally but don't yet seperate the halves – the two sections of skin will peel off easily with just your fingers. Keep the lid on the hot water bath while bringing it to a boil. It'll keep the kitchen a little cooler and the water won't evaporate away. When ready to fill jars, transfer only as many sterilized and hot jars as will fit in the hot water bath (mine holds 7) from the dishwasher to the counter. It's best not to mix jar sizes, that is, process quart jars only with other quart jars, pint jars only with other pint jars. And no, no, no! No stacking jars in the hot water bath! Fill one or two jars of those jars at a time using a wide funnel (the funnel keeps the rim clean). Remove the air bubbles by inserting a knife into the center a few times. Wipe the lips with a clean damp cloth (I use paper towels). Remove a sterilized lid and band from boiling water. Position the lid, then the band. Use a towel to hold the (usually) hot-jar-now-filled-with-hot-food with one hand, the other to tighten the band. Finish all the jars that will fit into the hot water bath at one time, transfer all at once to the hot water bath. Cover the hot water bath and process for the specified time. If you've got more jars than can be processed at a time, you'll need to start over from the beginning. This means getting the hot water bath back to a boil (and often you need to add water first) and making sure your jars are not only sterilized but hot again. After letting processed jars cool overnight, make sure the "dimple" on the lid is concave. Remove the band, gently testing to make sure the seal is tight (I've had bad seals even with good dimples). If the jar is sticky on the outside, wipe it down. If the band is sticky, wash and dry it because it must be completely dry before putting of back on the jar. If the band is clean, retighten the band. Lots of books say to remove the bands so they can be reused but I've learned to keep them attached so it's easier, later, to consume parts of a jar at a time and be able to store tightly in the refrigerator. It's also better for gifts since most people don't have bands easily at hand. If you have jars that didn't seal, the contents are still safe to eat. Just transfer to the frig and eat up within a week or so. DO label the lids, including the year. You'll forget what something is, I promise! Store filled jars right-side up. When jars are stored upside down, the seals can be weakened from the pressure. When you open a jar before eating, do re-check the seal. If it's no good, throw whatever you've canned away! If the seal is broken or you can remove the lid without a can opener or if the contents looks cloudy or smells off, THROW THE FOOD AWAY. You can recycle (that is, re-use) canning jars (but again NOT leftover spaghetti/etc jars) so long as they're in perfect condition. Before storing, check your jars for nicks, etc. Less than perfect canning jars can be used for refrigerator pickles but may break during processing or allow spoiling during storage. 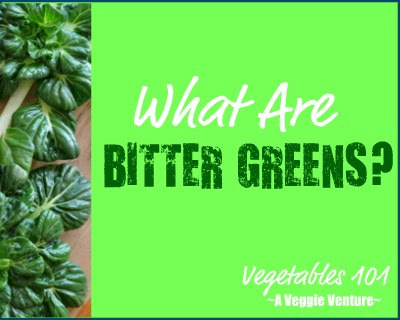 For me, the risk of using my hard-earned vegetables to a small nick just isn't worth it. Store empty jars upside down in boxes, this prevents icky sticky spider deposits. I store my jars in bankers boxes from an office supply store. Each one holds two or three layers of jars. Because the boxes are not so big, they don't get too heavy to lift. As empty canning jars collect, sort them by jar size and mouth size in different boxes. It helps know what you've got on hand when you start a new project. Old canning jars (that is, antique jars with very old glass vs recycled canning jars) can break in hot water baths. I love how they look filled with grains and beans in the pantry so never use them for canning. Too pretty, especially the old blue ones! You can reuse the metal bands once or twice so long as they're unblemished but be sure they are absolutely completely dry before storing. Sort the bands by size and store in ziplock bags. They're relatively cheap so I only keep a few on hand, especially because they seem to not improve with time, even if unused. However, you cannot reuse metal lids because the rubber seals are no longer good. Funny story: I once left a new box of canning jars in the back of the car during a hot weekend. The jars sealed! I even heard them "pop"! I keep a few extra lids on hand, just to use for refrigerator pickles that don't require canning. These plastic jar lids aren't for canning but come in really handy for using empty jars for salads, etc. No fiddling with bands and lids! The hot water bath is bulky but it can be used to store leftover lids and bands, jars of pickling salt, the special tools, even things like vinegar which keeps. Since canning likely happens sporadically, it helps to keep it together! What a treasure trove of canning information! Thank you for posting. I hadn't thought of the coffee filter trick, that's a good one. I also love the idea of a magnetized lid lifter. I'm always burning my fingers dealing with the lids. 145 jars!? Yikes that's a lot of canning. Hope you've been able to make your way through them. Wow, I had no idea you were into this. I've resisted the canning impulse so far so I was forced to participate in it so much as a kid. Alanna, thank you for all this information! My husband works for a produce company and is always getting fresh produce so while back I decided learning to can would be a good idea - because I have to face it - no matter how much I like peaches I cannot eat 20lbs of them in a week and they don't fit in our apartment fridge/freezer unit! Wow, Alanna, I wish I'd had this post when I was first bitten by the canning bug several years ago. I love seeing the rows of jars in my basement increase, decrease and change with the seasons. This summer, we're remodeling our kitchen, so I've had to borrow a friend's kitchen for what little canning I've done. I'm looking forward to fall. Great info here, thanks! My canning obsession is continuing through the summer--last batch was peach jam. Yum! I've been canning pumpkin for several years and continue to have the problem of filling the jars to the top then when they are processed in the pressure canner, that processing condenses the contents into at least 1/2 cup less than what I started with. That's not great when I'm trying to get 3 cups of processed pumpkin into the jar. Does anyone have any ideas. I've always wondered how commercial cans of pumpkin are processed! Interesting question, but you have years more experience with pumpkin than me. One thing that strikes me about the canned pureed pumpkin, it's so much thicker than the roasted pumpkin that's in my frig. I wonder if you might cook the pumpkin down before canning it ... it'd be worth a try, one batch. i have been so into watching my wifes face as she does her first year canning..its great...(except at nite when she is dead tired) but she is very excited...she has canned 30 jars of dill pickles,15 jars bread and butter...and about 15 jars tomatoes...anyway..limited space dictates me to ask this question...can we stack the jars with or without the bands? or in boxes??? love your column here.. I know it's been nearly a year since you posted this canning info, but this was the year I finally took the canning plunge, and this ever-so-helpful page came up during one of my google searches. (: So, a very belated "Thanks!" for posting such a wonderfully helpful tip page! I do have a question that so far, no one (okay, the internet and the Ball Blue Book) has been able to answer for me...is it possible to stack the small quarter-pint jars in my hot water processor/pan, as long as they aren't touching the sides of the pan, and are stacked on top of a layer of old lids or bands? My stove space is small, and the pan I use for hot water bath processing is 8 quarts but isn't that wide, so I can't do very large batches of jam. I was thinking that stacking during the processing would allow me to make a slightly bigger batch. Or is that a dangerous idea and it might cause the jars to break or something? Hi BabyCannerGirl ~ You're welcome! Glad it's useful, I even review it myself, before starting, because it reminds me what works/doesn't in a practical way. As for your question, I don't "know" but my instinct says this: that I'd check the water temperature at the two separate levels before making a decision on whether this is safe. The lower level, of course, would be closer to the heat source and so the water 'should' be hotter - but with enough free distribution, perhaps it's okay. If there's more than a few degrees of temperature difference, I wouldn't do it. First, for food safety reasons - you don't want to the top layer to NOT be safe because they don't get processed 'long enough' (in this case, long enough in a hot enough temperature). Second, for food aesthetics reasons - you don't want to go to a pile of effort and then have the BOTTOM layer be over-processed and thus not taste as good. All this said, it occurs to me that you might be able to finagle a two-layer stacking thingie (from chicken wire? maybe??) that would allow for the free flow of water distribution. And all THIS said, while a big canning pot is big and so is a space issue, it's quite inexpensive, I remember paying $20/less for a whole set of things in 2002. If you think your canning 'bug' is permanent, it might be a good investment. With so many experts here maybe someone has some advice. We cooked up 11lbs of tomato chutney on Tuesday night and in a moment of frenzy our jars were accidently broken. Now we have the chutney in the fridge. Is it possible to reheat and then can/preserve on Saturday or is this too much time? I don'twant to risk that any bacteria has grown etc.? Advice most welcome and needed. Hi Sarah ~ Oh my, what a shame. It's not bacteria I'd fear, it's glass. If you've ever broken a glass on the kitchen floor, you know how you find shards of glass even weeks later, ones you missed. So depending on what happened, how the glass broke, whether the entire 11 pounds was affected, I suspect that you've got 11 pounds of compost (and because of the glass, I'd even be careful putting it into a compost pile because later, you dig into it with your hands, etc etc etc). But - if you think you're safe from glass, then bacteria should be no problem. Just return your chutney to a boil, let it cook for a good five minutes, then proceed as usual with hot sterile jars. Ah dear, I'm so sorry. I can only imagine how you were looking forward to the chutney. Don't give up for another time!! Can someone tell me if it is OK to box my sealed jars and then stack the full boxes? I have heard NOT to put a jar on a jar. 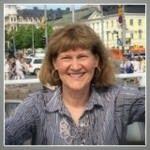 Linda ~ hope you held tight and gave your pepper jelly at least a week (or 2) to set up! I, too, am a first timer this year! I have been married for 37 years and learned to can from my mother-in-law the second year. I have canned just about everything that can be canned. When the children were home, 700-1000 jars were the norm. 1. If you need a cheap recipe book the USDA has their guide to canning online for download as a pdf. 2. If you don't have a dishwasher, wash your jars and place them on baking sheets. Stick them in the oven at the lowest temperature setting around the time you start your water bath heating. 3. This seems basic but...measure all of your ingredients out and have them ready on the counter before you start to cook. Yesterday I was just about to start cooking when I realized I only had half of the sugar I needed. 4. If you hate super sugary recipes you can get low/no sugar pectin. 5. Before the sun sets on the day you do your canning, write out everything that you did that day from ingredients to taste testing to the final yield. Especially note anything you think you did wrong or would like to do differently. Leave space at the end for comments after the product has "aged". We have a notebooks for yogurt, canning, and brewing. I would also like to second the idea of having dinner ready before you start the process. The night before we can, we like to get everything ready for a crock pot meal. I too have been having an obsession with canning this summer. I'm also vegetarian, and would like to venture into pressure canning w/ soups and chili and such. Do you recommend any books that have good vegetarian pressure canning recipes? FH ~ Good for you! I've never once done pressure canning so can't recommend a cookbook. I would think, however, that you wouldn't need to worry about finding a vegetarian cookbook, so long as you were comfortable, you could just skip over the meat chapter. What makes it necessary to add vinegar to a batch of cooked pepper jelly or jam? Is their a good substitute that will not impact the setting and eliminate the vinegar taste? can you use lemon juice to keep peaches from discoloring when canning? Found this on pinterest. Great tips. A couple of things I do differently (after mega years of canning) - I put my empty jars in the boiling water in the canner, then use tongs to take them out one at a time (pouring the hot water back into the canner), set them on the counter, fill them, wipe the rims, set the lids, screw on the bands (bands do not need to be boiled, btw) then set them back in the canner. When you are removing air bubbles, slide your knife or spatula down the side of the jars, not the center. I stack my jars in my pantry after they have spent the requisite 24 hours on the counter. The coffee filter idea for spices is great! I use a tea ball, but, if I double a recipe, it doesn't hold enough. In regards to some of the questions your commenters have asked - why on earth would you go to the trouble of canning pumpkin when it can be processed, poured into ziploc bags and frozen? Waaaay easier. A medium sized ziploc will hold 4 cups of pumpkin - exactly the amount needed for a pie. Freeze them lying flat to save space. Keeps for years frozen. And no, never put jars on top of one another in a hot water bath.... that's a disaster waiting to happen. And one final word of advice (Yeah, I know, shaddup already!) If, when you go to open one of your jars, the lid doesn't give that satisfying hiss when you (snap a fingernail trying to) pry it off.... don't use it. When in doubt, throw it out. Aiii Bag Lady ~ Great tips. And yes I especially agree about not bothering to can pumpkin, it cooks and freezes so beautifully. I really do recommend using a kabocha squash, however. Hello. Thanks for this post. Excellent tips! I canned today for the first time, making marinara sauce in quart-jars. While the jars were processing, I kept the pot covered, but at one point, I removed the lid and discovered that the water level had dropped to a point where the lids were no longer completely submerged. I added more boiling water to re-submerge the jars. I extended the processing time to compensate, and I had to repeat this process a couple times. When I removed the jars, they all made the "pop" almost immediately - each one appears to be sealed. Do you think these are safe, or should I be concerned about the fact that they weren't completely submerged throughout 100% of the processing? Hi Jeff, Good for you, taking on marinara! Another thought, in case this happens again if you live in a dry climate, keep a kettle of boiling water at the ready, that way there will be less chance of temperature fluctuations. Another idea: call the Ball Consumer Line, they might know more. Laura, "Tasting" is an excellent tip! And I'm so glad you posted the link to the information about the Pomona Pectin, Here's the permalink. Really nice tips everyone! This is my second year canning. I started with easy jams and tonight I canned my seven minute microwave dill pickles. Last week I attempted cherry jam. As of today, it has still not set up. I will give it one more day, but reprocessing is probably in my future. If they fail again....cherry syrup it is! ;). I am REALLY interested in pressure canning and plan on making the leap this year! Happy canning all! Just came across this site. Excellent and fun! I am a self-taught canner (no-one was canning when I wanted to learn-why bother?) I learned from an Old Joy of Cooking in the late 70"s and have had wonderful canning adventures over the years. One of the best was find a STEAM CANNER. I became arthritic and a standard boiling water bath became impossible. The dishwasher trick is a great one. Used it for years until I moved to a place I didn't have a dishwasher. WEnt back to boiling water in large pot and sticking a few jars in. These days I am a small batch canner and use a Nesco roaster oven to do a modified steam canning/boiling water bath method that yields perfect results even though they aren't approved. BE very careful with cleanliness. I use small 4 or 8 oz jars only as the lid needs to cover the jars with room to spare. don't need to cover jars completely with water. Can do 3-6 jars at a time. I stack the 4oz jars and have no problems with lids sealing. Take the time to learn about STEAM CANNING. use your search engine. Developed by the folks at Iowa State HOme Ec department or some such lofty homakers educational facility--Maybe Ohio? anyway, professionally developed method, but not widely used because of the Ball and other companies dominance of the field. But it does work. Hi, I'm looking for tips on peeling tomatoes for canning. Currently, I blanch/ice water bath, then peel by hand, but as I usually can anywhere from 50-200 jars of salsa and tomatoes each year, this is extremely tedious (and finding the time to do this part is the bottleneck that often causes lots of tomatoes to spoil). Do you know of any equipment between the hand peelers and the 50 ton/hour machines I've found--something that could make fairly quick work of a 5-gallon bucket of tomatoes at a time? Nice site--your advice will be much appreciated. Hi Bob, Wow, lots of canning! I'm sorry, I work in small batches so don't have experience with what you're looking for. Good luck! For peeling and seeding tomatoes a food mill work is great, although will also puree the tomato so only good for sauce, not salsa. Earlier comment about stacking, my pressure canner gives instructions on how to do this with no extra equipment needed. Just stack jars on top of each other. Not sure why u couldnt do the same in boiling water bath. One thing i've read that maybe should be added is when removing hot jars from canner to set them on a towel rather than directly on the counter. Reason has to do with possible temperature change. Hot jars on cold counter not a good idea. I have a wooden cutting board and kitchen towel on top of that; also absorbs water from canner. I believe someone asked about reason for adding acid to jam - cant recall if this blog or another - i know low acid items like tomato this is a requirement for current canning standards in jam not sure if necessary, but i do it because the acidity rounds out the flavor and makes the jam taste better; i use about 1 tablespoon per quart. Final product does not taste acidic. One addition that I find helpful is commercial floor mats. At the end of a canning marathon I find my legs are not fatigued and I still have some energy remaining. Floor mats can be found at most food-service / restaurant supply houses. I am from Canada so my suggestion may not help all canners. Bernardin - a jar/ home canning supply company has an excellent book, with recipes and tips. Usually the book is in the store with the jars, new boxes of lids, pectin etc, Very helpful. My mother taught me to can. But she has been gone for 40 years and I just started to can again a couple years ago, so needed a refresher course. Things change. One idea I was given is to keep a whole bunch of rings on a long string and hang in your storage room on a nail. They keep better. Never can meat in a water bath, use a pressure canner, yeah I know my mom used to can lots of the "old hens" in a water bath so did Grandma, but we know that isn't very safe. Or vegetables like peas and beans. Canning gives me time to collect and recall times with my mom. Anonymous ~ Aii, thanks so much! I’m so glad you commented, my sites get a lot of Canadian visitors so your info may well be extra helpful! I’m glad to know you too think of your mother while canning ... makes me want to get out the jars and get to work. Thanks for writing!